Kahoot is a tool to create, play and share learning games for any subject. Learning games can be created (by teacher or student) from multiple choice questions, and students then answer the questions on their own technology devices while the game is displayed on the SMARTboard. Kahoot quizzes can be used as a check-in to gauge if students are grasping a new concept, or as a means of consolidation to solidify or review knowledge before an upcoming assessment. Students can also be tasked with creating their own Kahoot learning games, which would require them to draw on a deeper understanding of the subject content and identify key ideas. 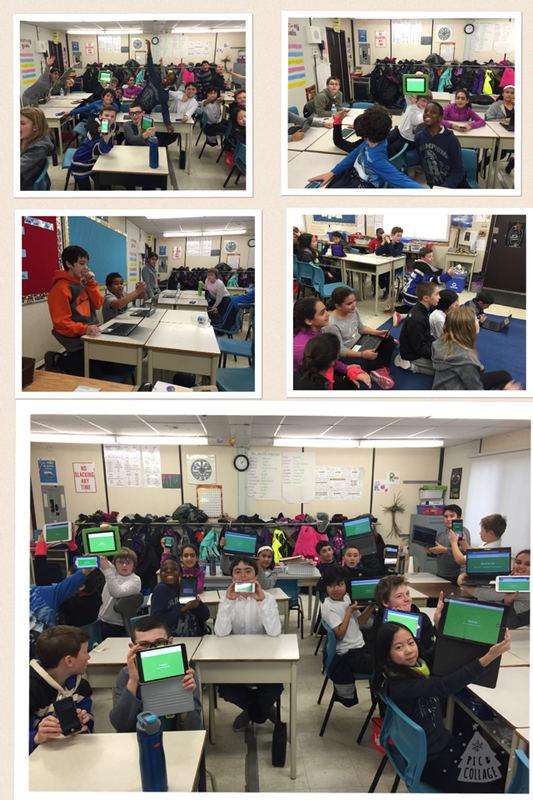 During practicum, Kahoot learning games were used to involve all students in reviewing learned material. Topics ranged from static and current electricity to the principles of flight to the biography of Malala Yousafzai, and students enthusiastically participated using their own or classroom devices. It was an energizing and fun strategy to consolidate learned material and was a major source of motivation for students to complete their work on time! If you’ve never tried it, check it out at : https://getkahoot.com. Highly recommended for learners of all ages!